Many non-martial artists believe martial arts to be a fitness activity where you can learn some cool moves seen in movies. 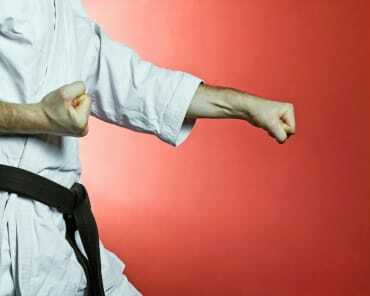 However, the benefits of martial arts for adults are much more extensive than fitness-oriented benefits. Martial arts for adults can improve your mental strength, change your outlook on life, allow you to adapt to different situations, and improve your social life. In this blog post, we break down 5 benefits brought about by training in martial arts for adults. The Centers for Disease Control and Prevention says only 1 in 5 adults meet physical activity guidelines set to improve wellbeing. Just as you’d think, physical activity has far-reaching benefits. It can help control your weight, reduce the risk of cardiovascular disease and type 2 diabetes, certain cancers, and more. The physical activity alone can help improve your mental health and mood, strengthen your bones and muscles, and improve your chances of living a longer, healthier life. Although different martial arts vary in the levels of rigorous physical activity, nearly all of them will improve conditioning and fitness. With obesity rates as high as they are, more and more adults need to find a physical activity they enjoy, to keep their health in check. Martial arts can provide a source of fitness that is enjoyable, life-enriching and can be maintained for many years. A successful practice of martial arts requires a large amount of mental fortitude. Some of martial arts’ most traditional tenets - such as indomitable spirit and perseverance - stress the importance of fighting through preconceived limits. Discipline might be the biggest trait that leads to success in martial arts. Knowing you have a challenge up ahead and developing the discipline needed to achieve that is an important life skill that will translate to many other areas of your life. Another important aspect of martial arts is feeling, accepting and controlling your emotions. By practicing martial arts, you will feel anger, fear, frustration, and anxiety, at some point. The way you deal with these emotions will help you grow mentally. This will also help in everyday life with how you deal with others, from workplace discussions to family disagreements. The issues of mental health are becoming more apparent and our understanding of them is growing as well. Many issues of mental health are helped by fitness alone, but the martial arts add a lot of benefits. We’ve already written about how martial arts can help addiction, ADHD, and autism; martial arts for adults can also help bring on a sense of purpose. Adults are goal-oriented and exploring that side of our human nature is important for our happiness. The motivation that can build up for many can power you through your fitness goals, as well as your life goals. In adulthood, it can be very tough for some to find peers with mutual interests and outlooks. Martial arts are a great place to meet new people, from all walks of life, and the shared dedication to their art can help bond people. Lifelong friends are made all the time at martial arts gyms; going through difficult trials - such as belt testing - can really help create social bonds between friends. 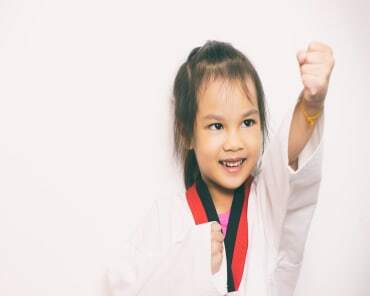 Martial arts can also help you bond with your children. If you are interested in trying out our program to see these benefits for yourself, try our no risk discounted Trial Membership Offer! Check it out on our Trial Offer Tab today.